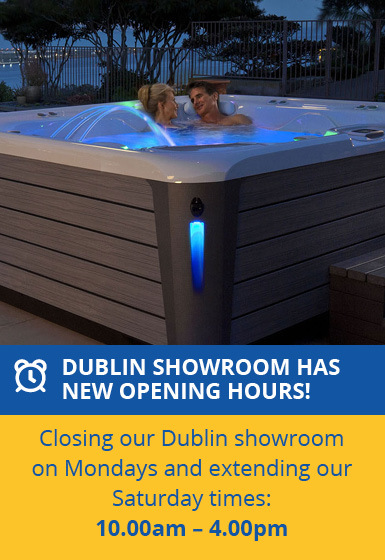 Ireland's leading suppliers of Hot Tubs, Swim Spas, Saunas, Steam Rooms, Log Cabins and BBQ Huts. As Northern Ireland’s leading suppliers of Hot Tubs, Swim Spas, Saunas, Steam Rooms, Log Cabins and BBQ Huts. Aquasun are committed to bringing you the best products from the world’s number one brands! Aquasun are exclusive distributors of HotSpring Spas and the home of Hot Spot Spas, Limelight and Solana Spas – that shows why we are the Hot Tub experts of Northern Ireland! With a range of competitive prices and attractive credit facilities available, our friendly sales staff await your call today! Considering the numerous health benefits associated with their use, in addition to their functionality as a luxury relaxation haven, Aquasun swim spas serve an array of purposes for buyers. Check out our superb selection of swim spas here. Our range encompassing conventional, infrared and barrel saunas, proudly supply all types to Ireland and the UK. Click through to take a look at our phenomenal collection, and choose the perfect sauna solution to meet your requirements. Designed to withstand year-round weather conditions, the inherent quality of Aquasun’s BBQ houses cannot be denied, nor their functionality as an ideal hub for social gatherings or parties. Browse our fantastic BBQ hut range here.